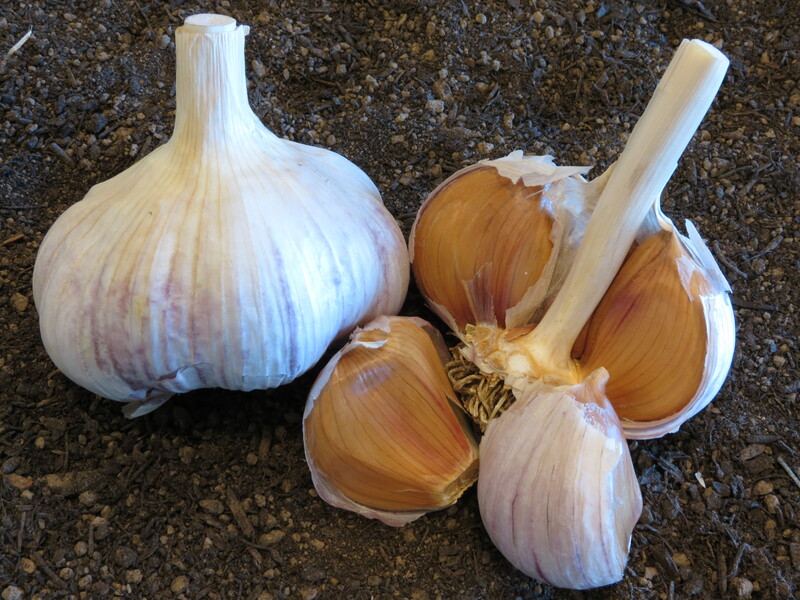 German Red is a must have garlic originating in Germany. It stores exceptionally well and is tolerant to cold conditions. 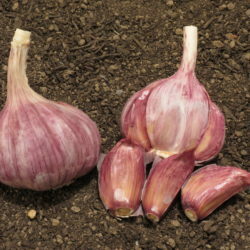 German Red garlic tastes great in stews, roasts, gravy. 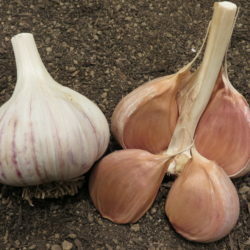 It is considered a large garlic with 8-9 cloves per bulb with a loose wrapper and easy to peel. German Red has a complex, strong, and rich aromatic flavor yet not overwhelming. Comments: A must have garlic! Stores exceptionally well. Tolerant to cold conditions. Great in stews, roasts, gravy. Taste/Flavor: Complex strong and rich aromatic flavor, but not overwhelming.